But there are options. 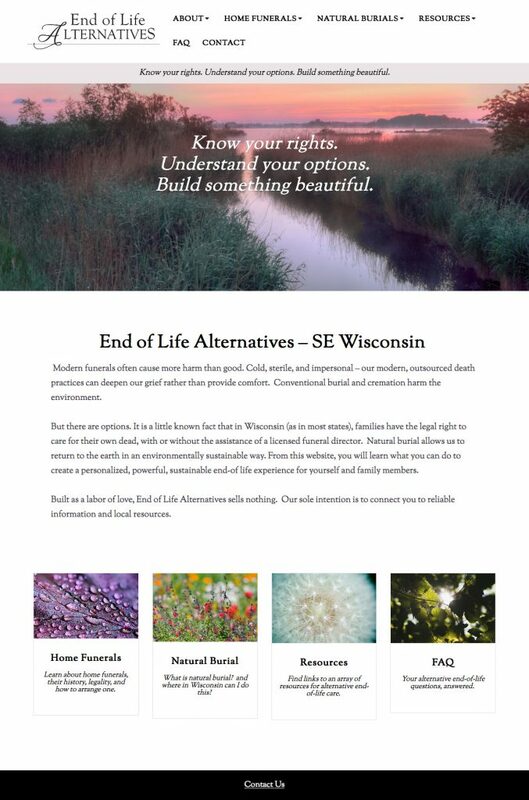 It is a little known fact that in Wisconsin (as in most states), families have the legal right to care for their own dead, with or without the assistance of a licensed funeral director. Natural burial allows us to return to the earth in an environmentally sustainable way. From this website, you will learn what you can do to create a personalized, powerful, sustainable end-of life experience for yourself and family members.